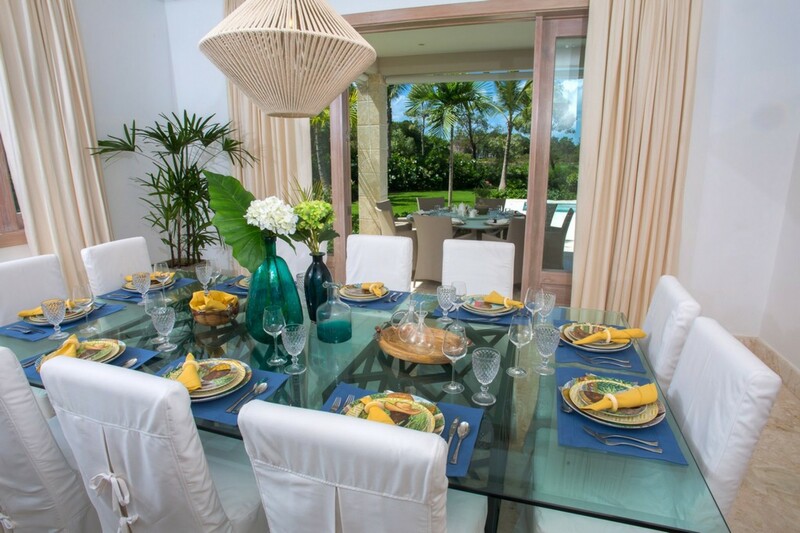 Welcome to Villa Spero, a 4-bedroom villa that is nestled in the vibrant and exclusive gated community of Punta Cana Resort & Club, in the Dominican Republic. 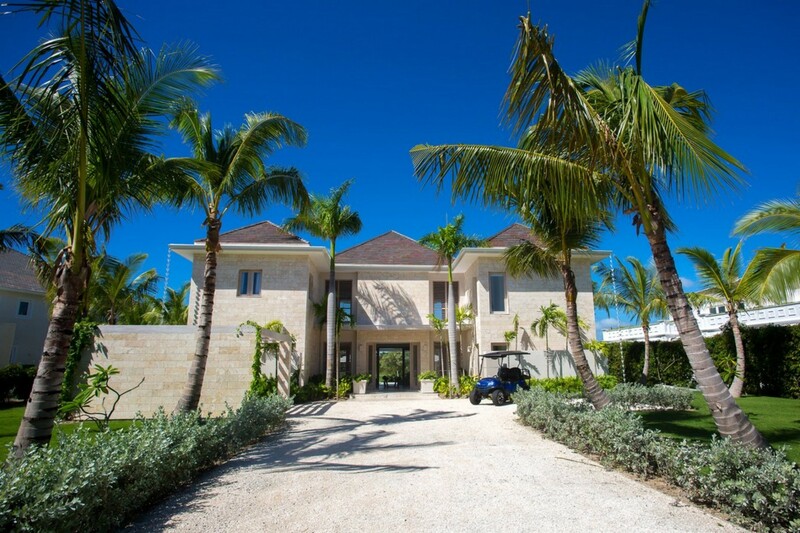 This Caribbean villa enjoys vast views across the resort Golf courses and waterfront location. The exquisite and secluded property is rich in space and amenities giving you an abundance of both interior and exterior living spaces. 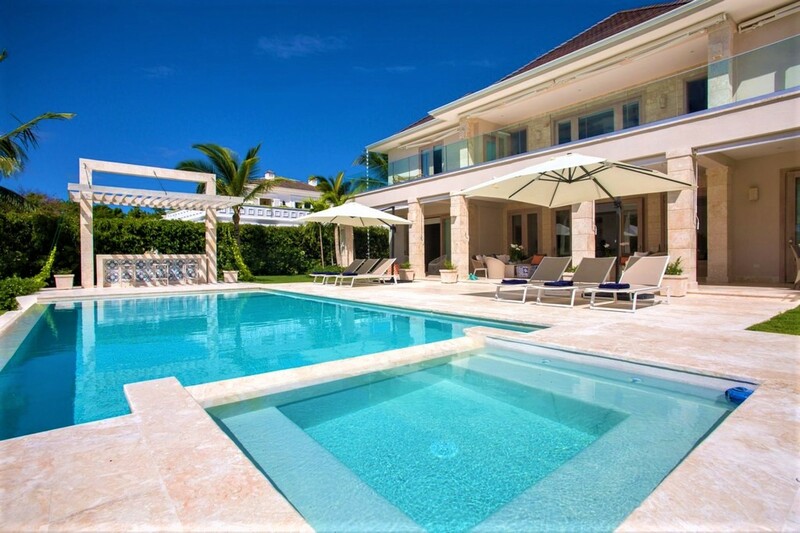 Villa Spero can accommodate up to ten guests across its four luxurious bedrooms. 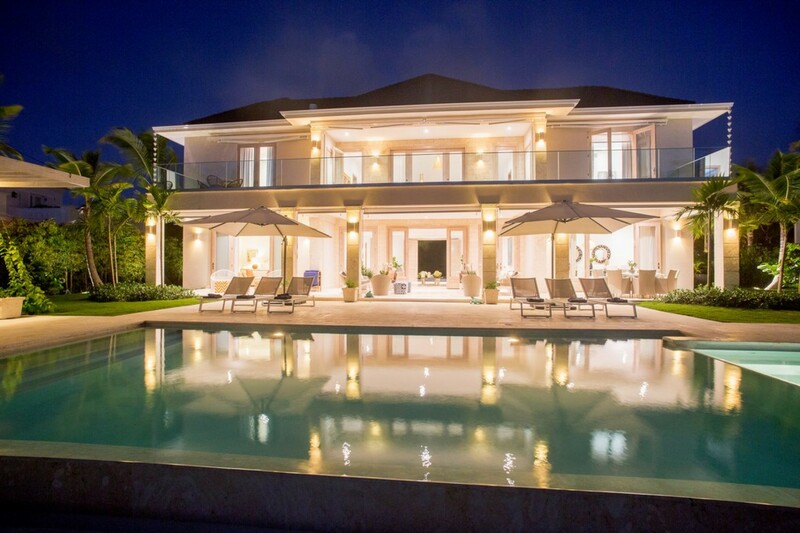 It is an exceptional Villa Rental that will provide you with a truly authentic Punta Cana holiday experience. 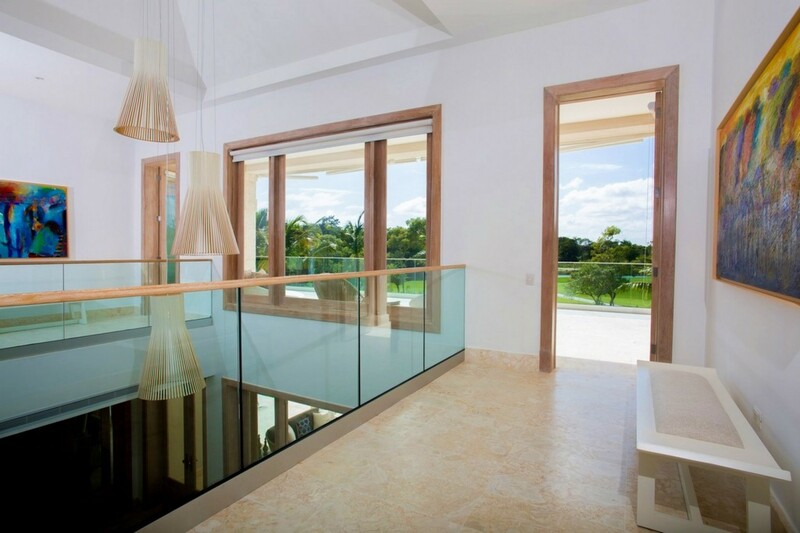 Villa Spero is perched peacefully overlooking some of the most beautiful golf views in the exclusive Corales neighborhood in the Punta Cana Resort. 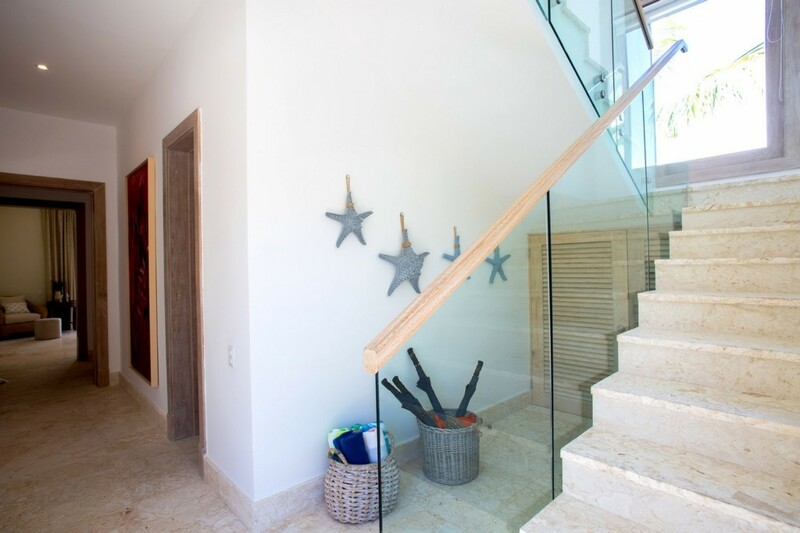 It is ideally located 1km from the resort's beach and is a further 5km from the Corales Beach. Spending a day on the sugar fine sand and delving into the glistening turquoise waters could not be easier. 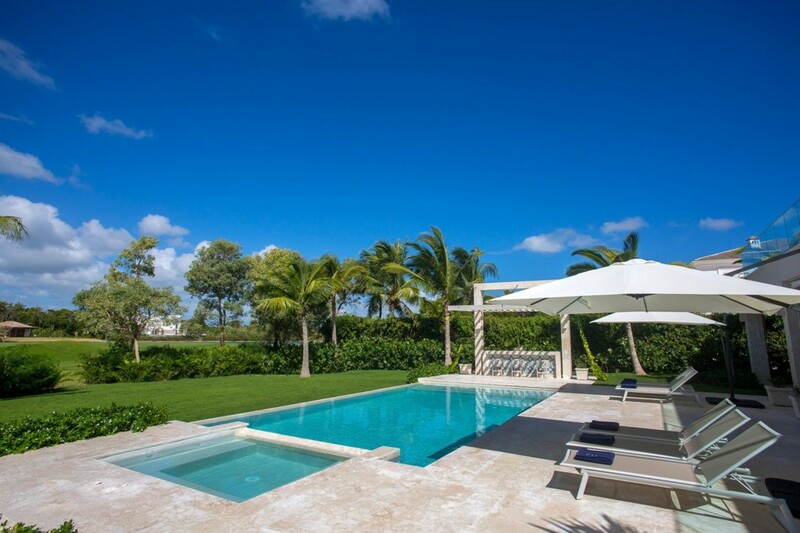 The property is embedded in a secluded gated community of private land and enjoys privacy and tranquility overlooking the water. The gardens are well maintained and laced with vivacious palm trees and tropical flowers. Let the sweet fragrances that carry on the breeze skim across your skin and you walk around the resort in the early mornings. 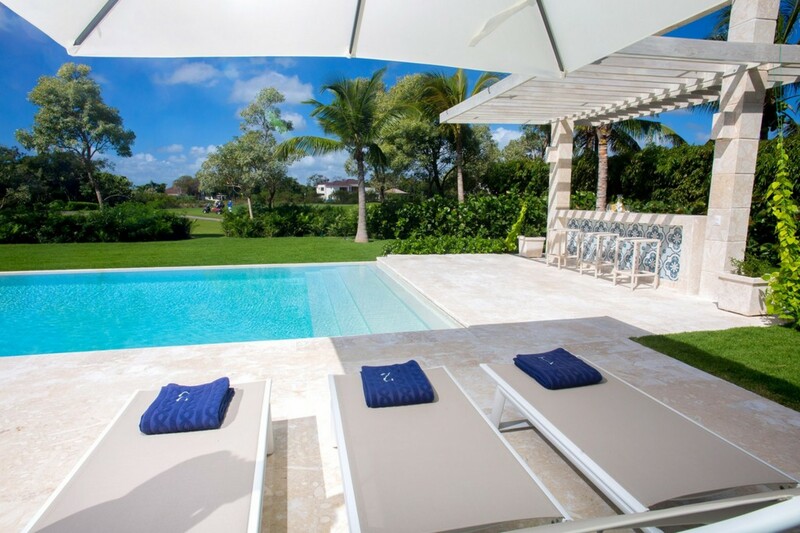 As you walk out onto the private terrace at the back of the villa property let your eyes fall on the crisp waters of the large swimming pool. 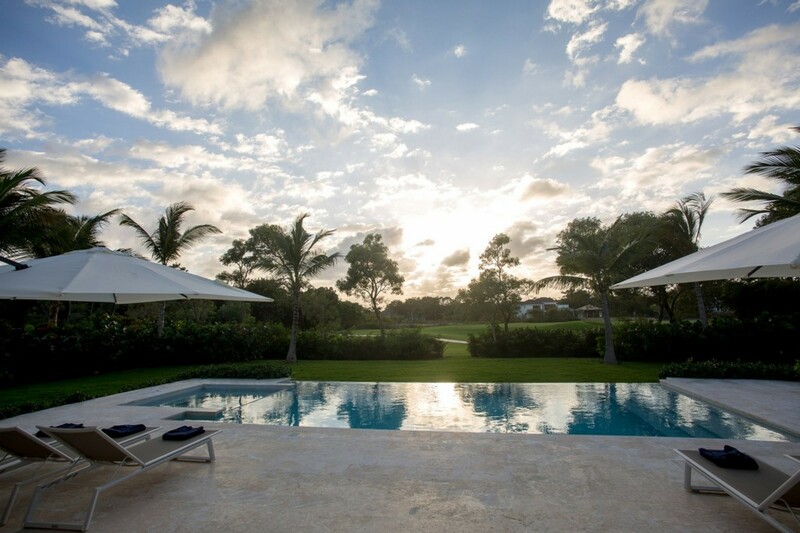 Slip into the waters for a refreshing morning swim or sit out on the elongated covered bar alongside the water. As you sit here, sip on a fresh cup of coffee and watch as the sun stretches over the land. You can sit on the outdoor seating or loungers and read your favorite book as you settle into the serene ambiance, letting your worries melt away. 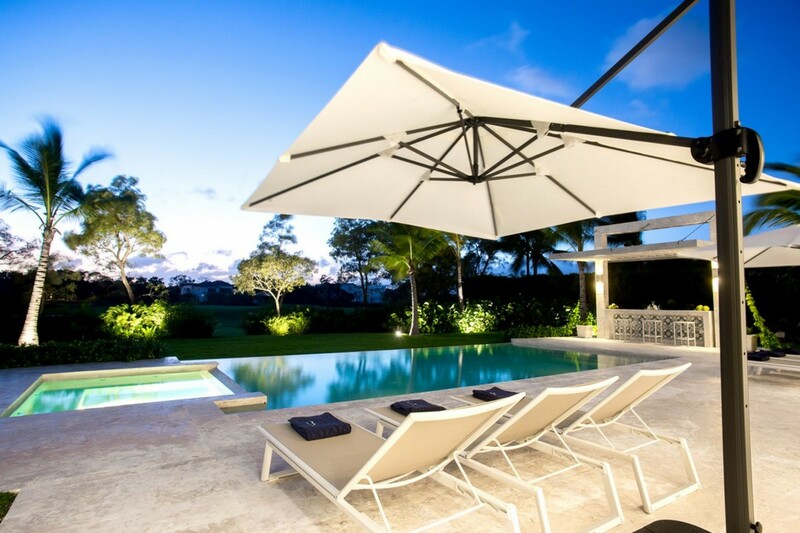 If you seek some secluded shade, then relax in the private covered seating area off the living room or pop up one of the large parasols. 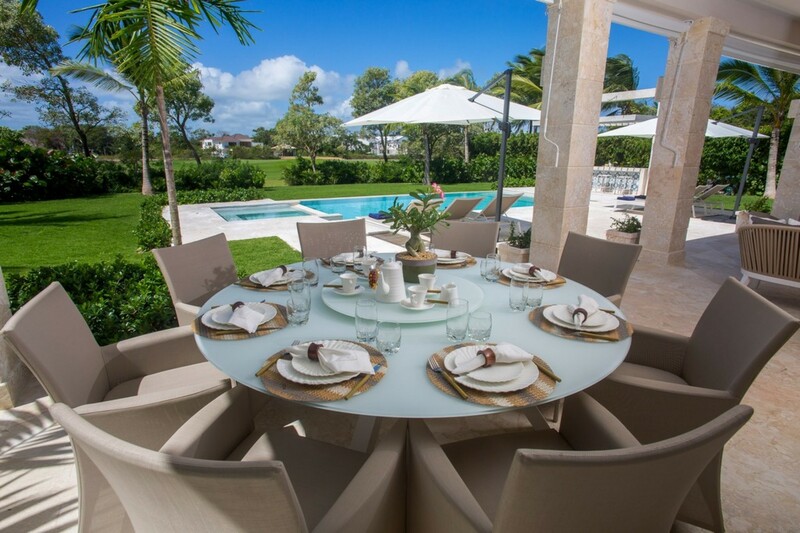 In the evenings indulge in some island style living by dining alfresco. You can watch the sun setting as you dine, surrounded by your loved ones. Slip into the bubbly waters of the jacuzzi to unwind as you watch the stars light up the night sky. 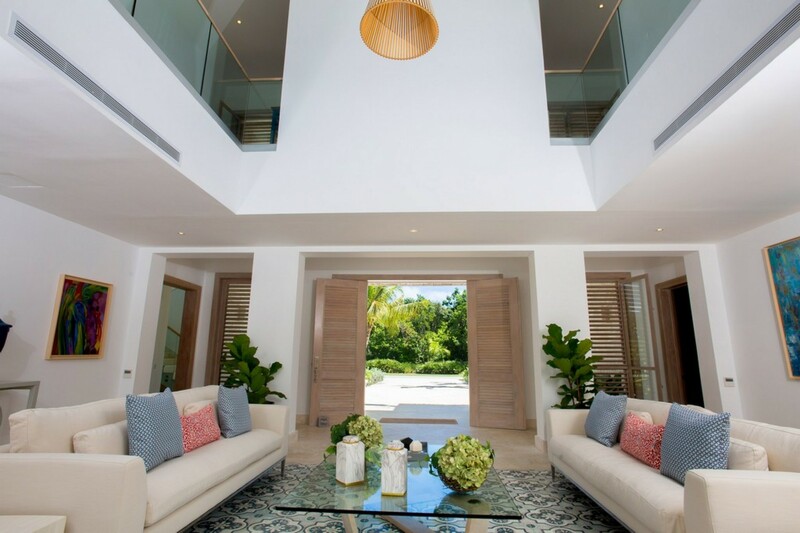 Making your way into the villa through the grand wooden doors you will find yourself in the high vaulted foyer, leading you into the main living areas. 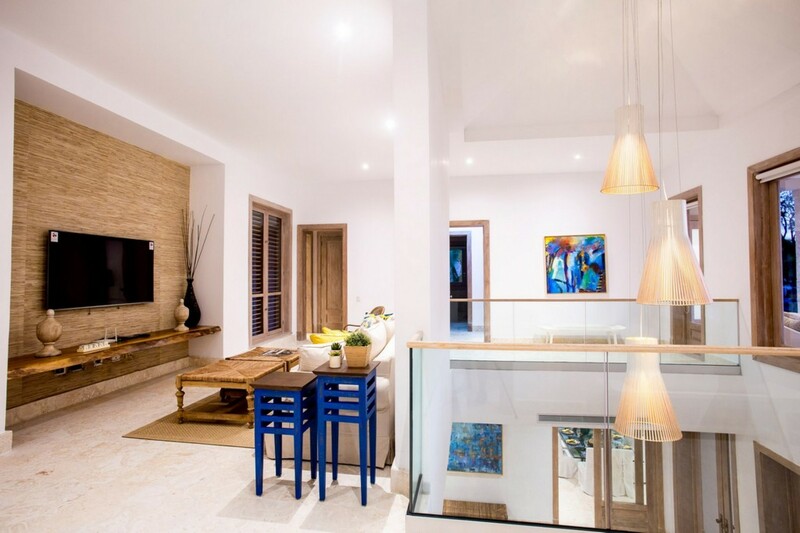 The living and dining rooms blend harmoniously into one space creating an open concept room. 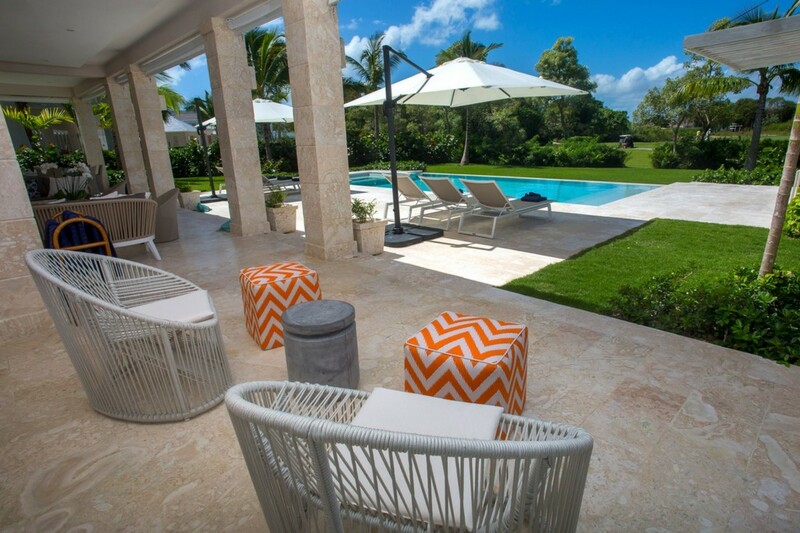 With direct access out onto the terrace, the room enjoys views of the pool and golf courses. 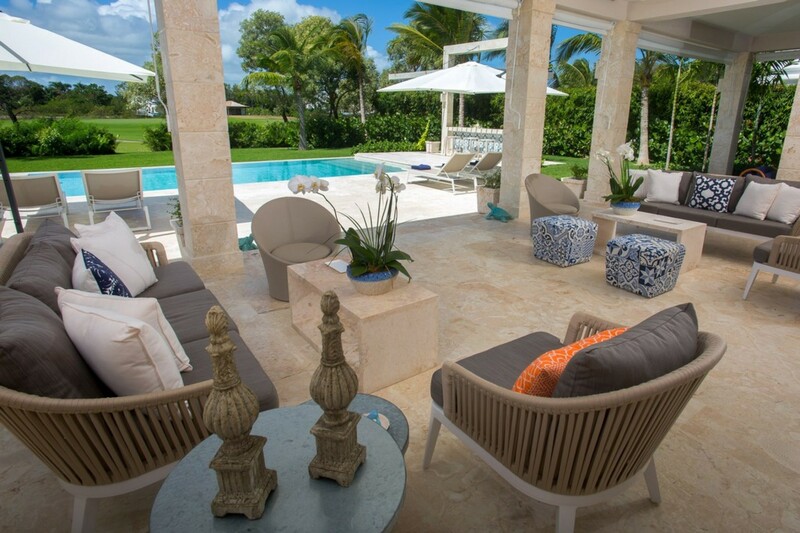 The large plush sofas take the center stage, looking out over the covered terrace. 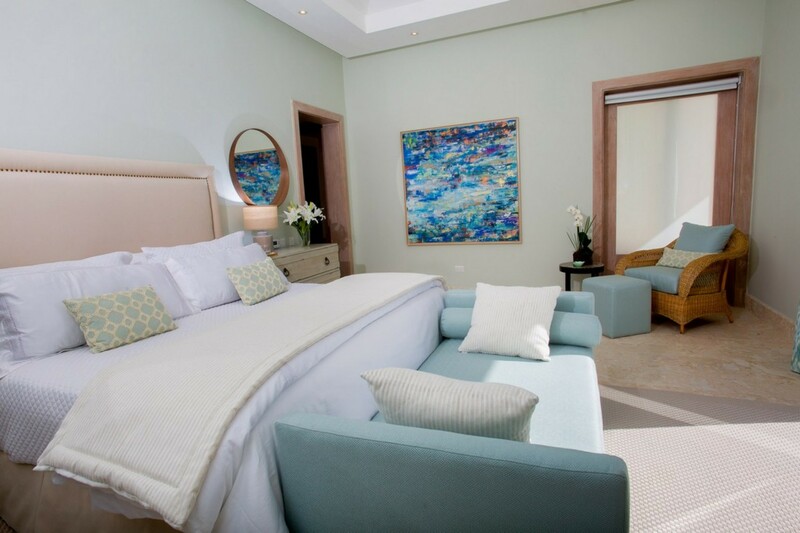 The room is very modern and embraces a simplistic design with tasteful art and furniture complementing the cool colors. The alfresco dining area seats eight guests on the terrace and there is also additional sofas and seating here. 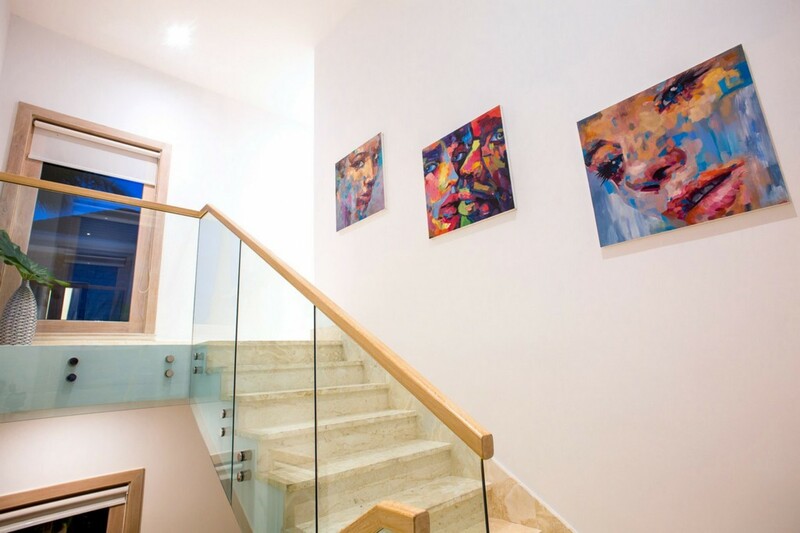 Upstairs you will find another living space where there is a large plasma screen TV mounted on the wall. 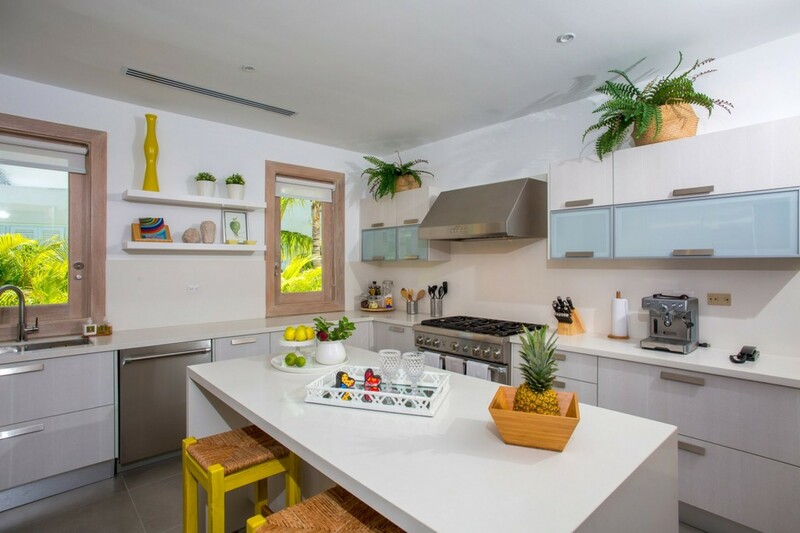 The kitchen is based on the ground floor and is fully equipped and ready for you to use. 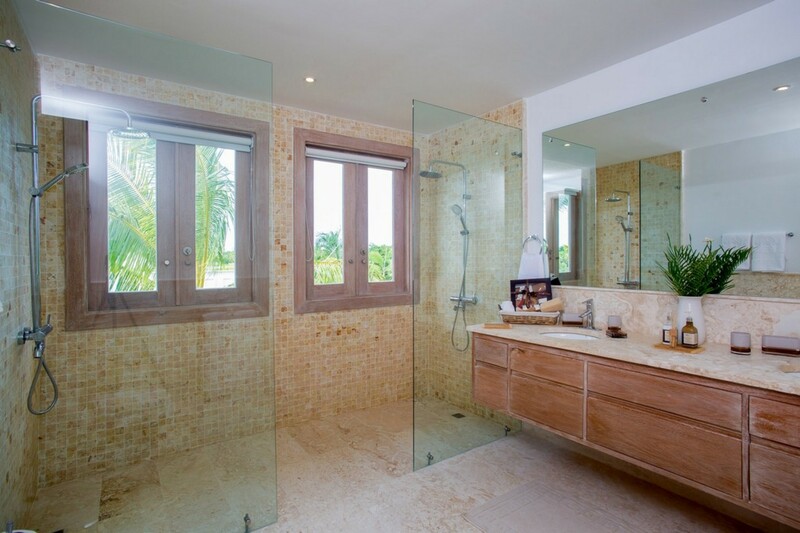 The villa has a total of four luxurious bedrooms and four and a half bathrooms. Each bedroom features its own high-resolution TV and enjoys views of the surrounding property. 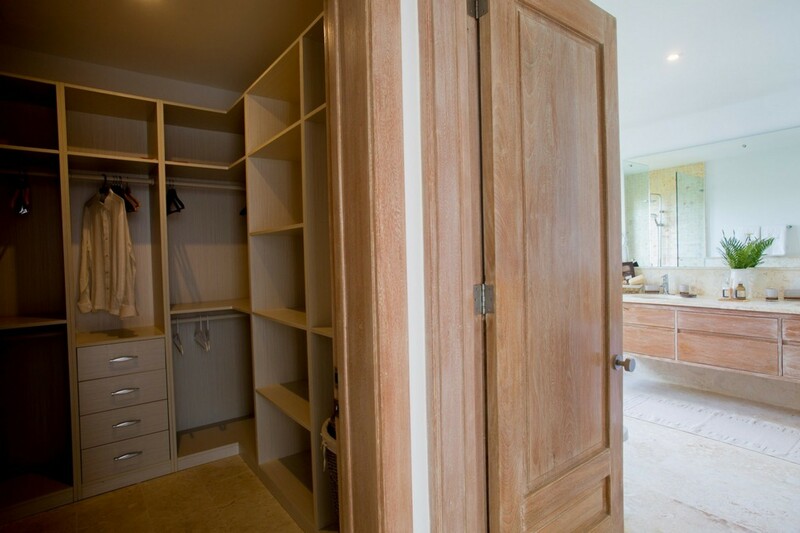 The master suite is located on the first floor, fitted with a luxurious King-sized bed. 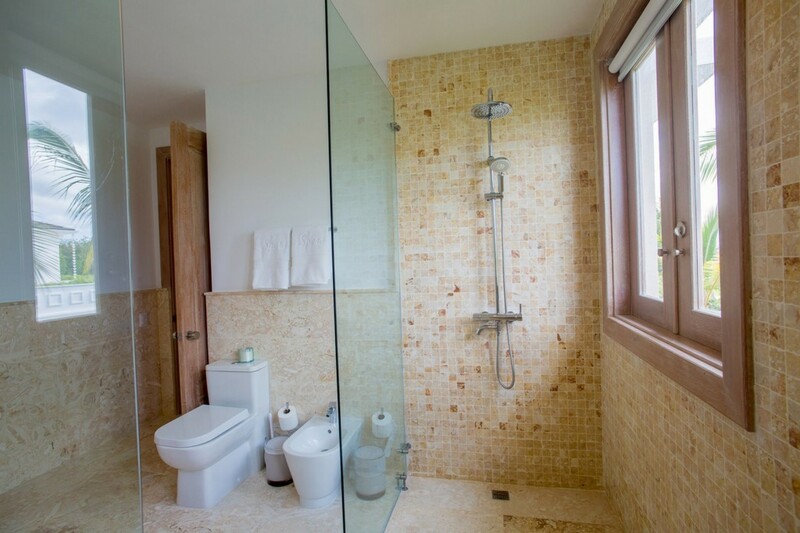 It includes its own private en-suite bathroom with a standalone dual shower. 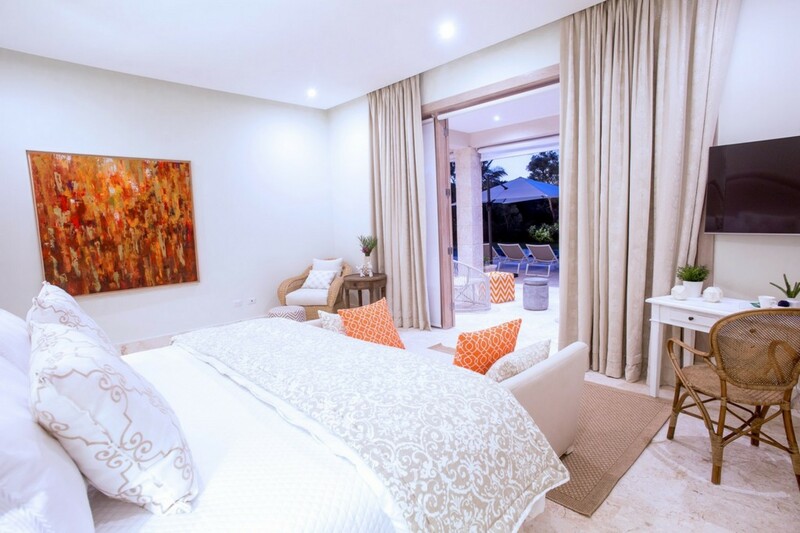 The bedroom offers a large walk-in closet and has direct access out onto the Balcony overlooking incredible views of the resort. 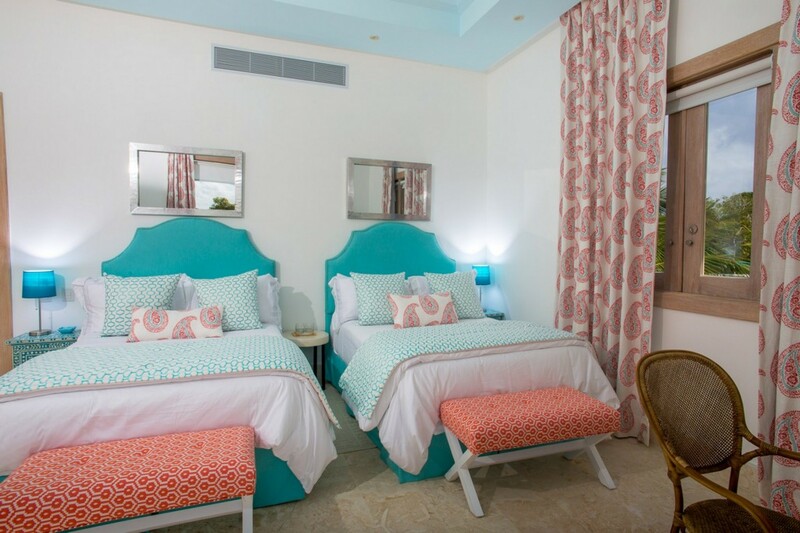 There are two guest bedrooms located on the first floor that offer two full beds each. 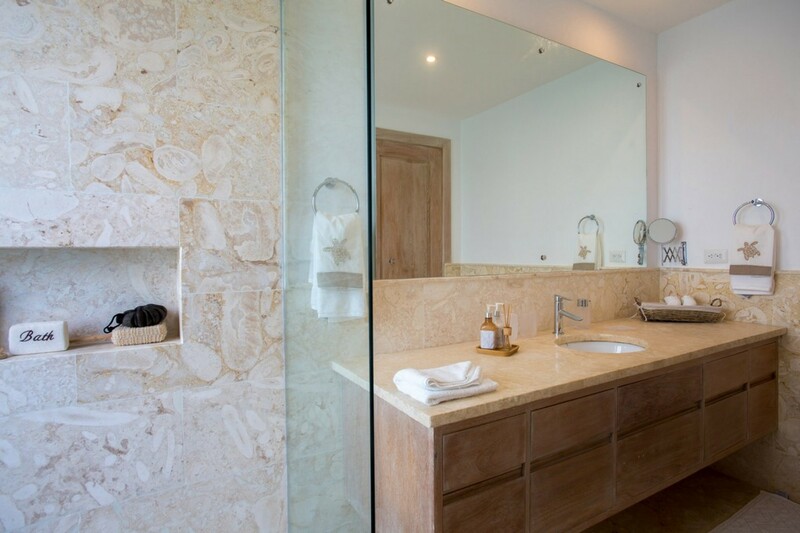 The rooms include private en-suite bathrooms with standalone showers. One of these bedrooms also includes Access to the balcony. 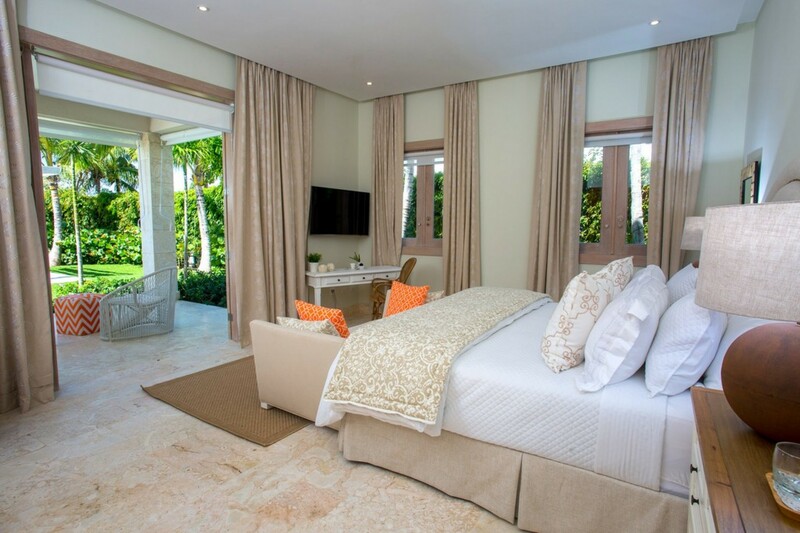 The ground floor suite is fitted with a king-sized bed and enjoys access out onto the pool terrace. 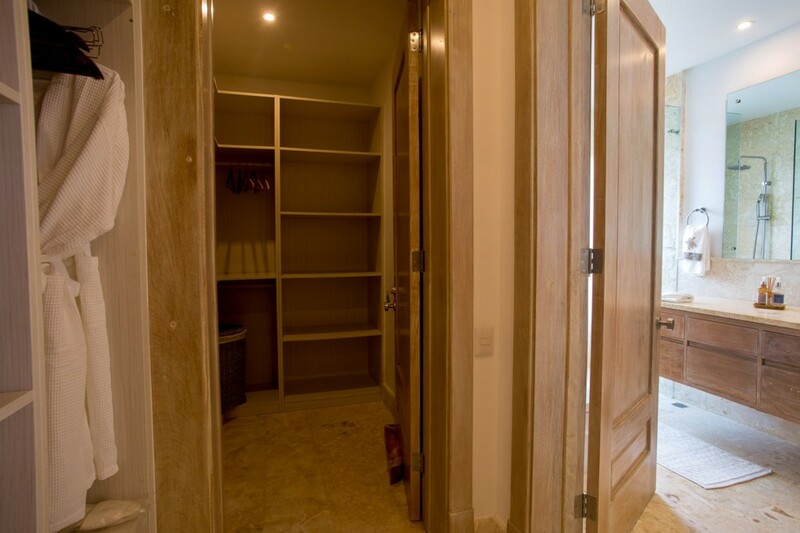 It also features a large walk-in closet. BEDROOM 1 MASTER: Luxurious King-sized Bed, Private En-suite Bathroom, Standalone Dual Shower, High-resolution TV, Walk-in closet, Access to the balcony, Panoramic Views. 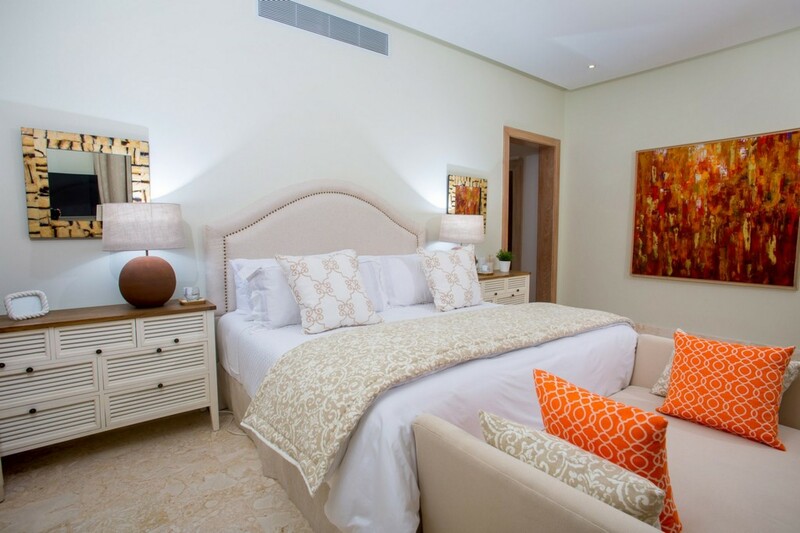 BEDROOM 2: Two comfortable Full Beds, Private En-suite Bathroom, High-resolution TV, Access to Balcony. BEDROOM 3: Two comfortable Full Beds, Private En-suite Bathroom, High-resolution TV. 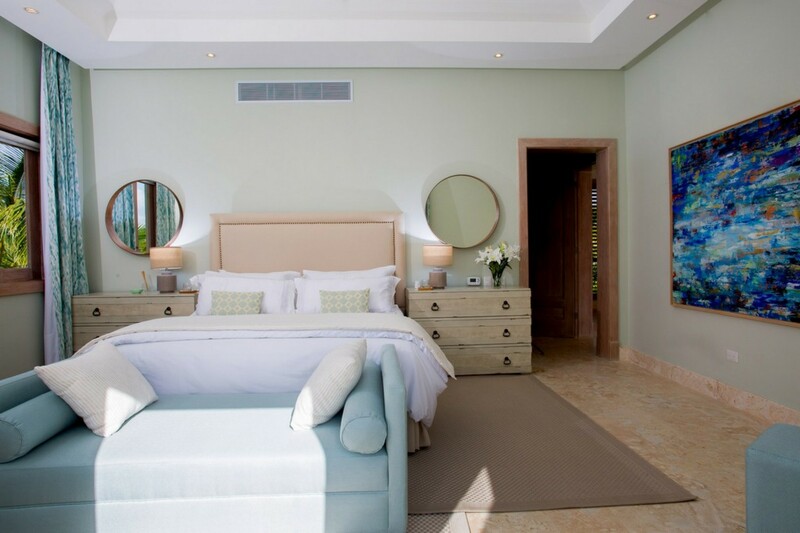 BEDROOM 4 MASTER: Luxurious King-sized Bed, Large walk-in Closet, High-resolution TV, Access to Pool Terrace, Golf Views. 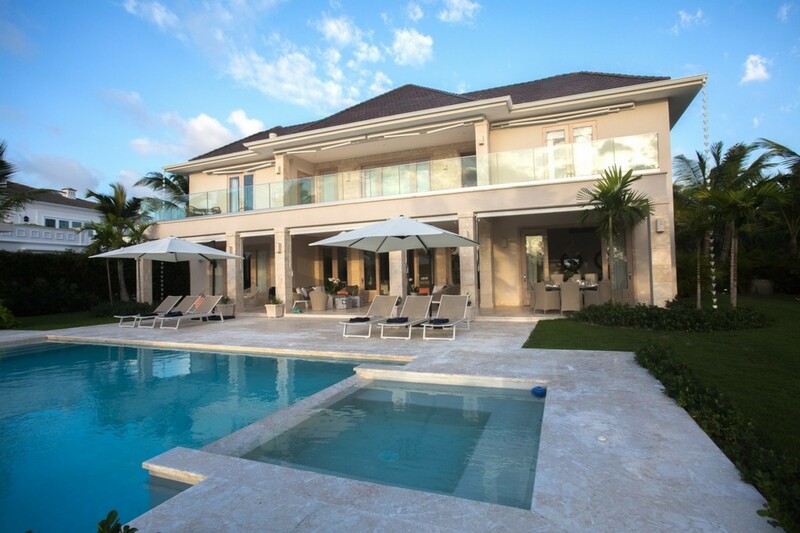 Villa Spero is located in the exclusive gated community of Punta Cana Resort & Club, in the Dominican Republic. Punta Cana Resort & Club is a 26-square mile paradise. The climate includes occasional light rainfall and soft breezes keeping the temperature at a very comfortable level. It's colorful coral reefs, tranquil crystalline waters and white sugar-fine sandy beaches are breathtaking. The Resort provides a tropical lifestyle as well as high standards of quality, comfort, and aesthetics. The Dominican Republic is the second largest and most diverse Caribbean country. It is renowned for its comfortable climate and vivacious tropical vegetation. The intriguing history that this location provides is rich in traditional culture. Surrounded by the Atlantic Ocean on the north and the Caribbean Sea on the south, this enchanting island has 250 miles of world-famous beaches, with white sugar-fine sand and clear crystal waters. The Resorts Beach, Corales Beach, is only 5 km from the villa, a ten-minute drive. The powdery shores are perfect for spending a day by the ocean. 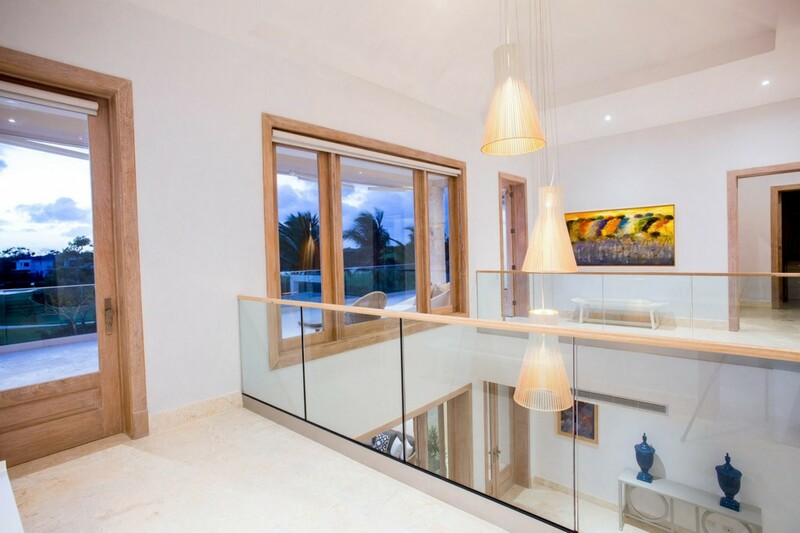 Villa Spero is based close to the International Airport of Punta Cana as it is only a short 1ten minute drive based 4 km in distance. Local activities you can take part in include Paddle Boating, Horseback Riding, Shuffleboard, Surf Fishing, Golf, Jet Skiing, Parasailing, Snorkeling, Wind Surfing, Beach Cinema Festivals, and delicious Restaurants.